Gothic Music – Goth – Just a Phase? Welcome to Just a Phase? Goth Subculture as an identity constant beyond youth. 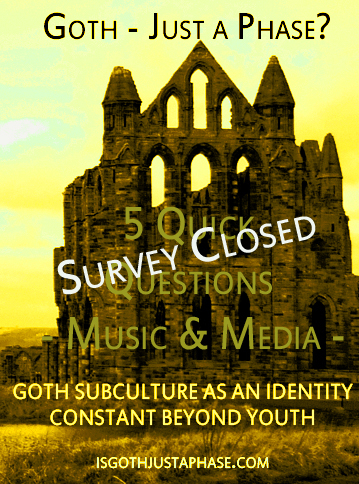 This research seeks to improve understanding of the subculture, to share thoughts and experiences with other Goths (and researchers) especially those, like me, who have continued to be involved with Goth well beyond youth! Thank you to all the wonderful people who recently responded to my series of long surveys about the Goth subculture. 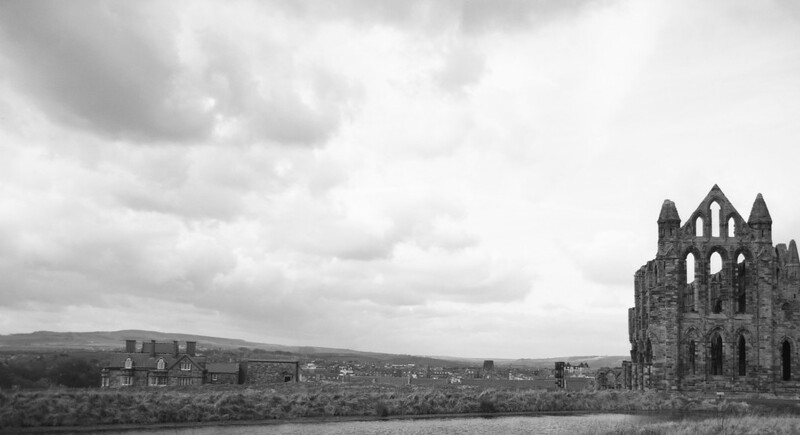 The long surveys are now closed for analysis – however I am still keen to receive input. Over the coming months I will be publishing a semi-regular series of very short short (5-10 question) surveys on particular aspects of the subculture identified by survey participants as being central to Goth. The first in these mini surveys is about Music & Media. Surveys now Closed – thank you for your responses!